"I am Female," says Pfc. Chelsea Manning. "No, you are not," says the Mainstream Media. The media has made a mockery of Pfc. Chelsea Manning in its coverage of her decision to publicly declare her desire to begin the process of transitioning. 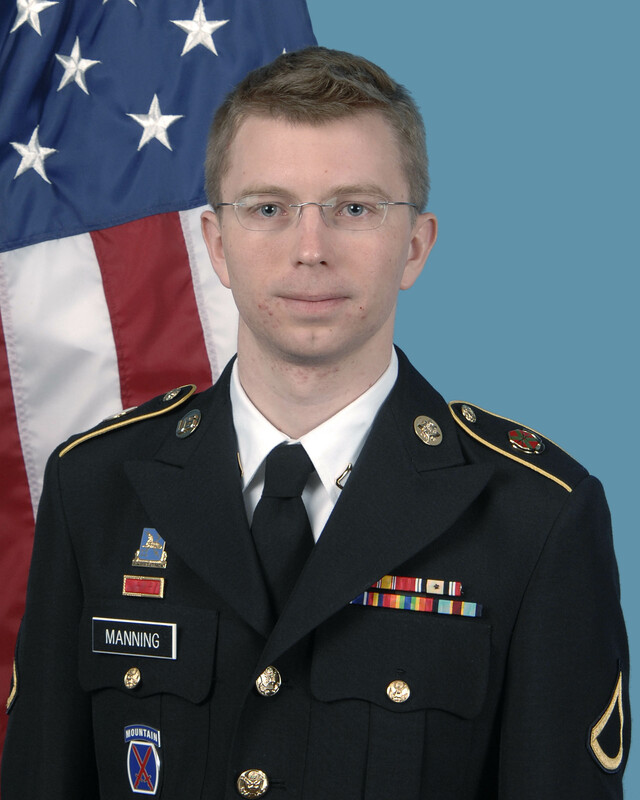 To those who have faithfully followed the Manning trial -- regardless of opinion on Manning and the vigorous effort of the Obama Administration to prosecute her for leaking over 700,000 classified documents and information files to Wikileaks -- it should come as no surprise that Chelsea Manning has struggled with her gender identity. In fact, Manning recently cited the struggle of coming to terms with her female identity as an aggravating factor leading to her decision to leak the classified documents between 2009 and 2010. According to testimony, Private Manning e-mailed a photograph of himself dressed in a blond wig and makeup to a supervisor at one point during his deployment. In the e-mail, which he titled "My Problem," he described a struggle with something that "makes my entire life feel like a bad dream that won't end." Not only is this facially offensive to gender queer and transgender people, but it also substantively perpetuates a damaging and oppressive cultural assumption that one's gender identity is a choice one makes. In this case the choice seems to be implicitly portrayed as one taken by Manning in order to save himself from a harsh prison environment. Perhaps it was a choice made to gain a pardon from President Obama -- forcing the Commander in Chief's hand by playing to his demonstrated interest in leaving a legacy of protecting LGBTQ rights? These are the questions we are meant to ponder after reading the articles of news sources unwilling to accept the veracity of Manning's claim to her gender identity. These accusations are not so much evidence of a critical inquiry into the motives of Manning, as they are a disregard for both the record of the case -- which has shown both Manning and Army officials testifying her struggle with accepting her female gender -- and the plight which all transgender and gender queer people face across the world: having their integrity and identities questioned all while they are taking a courageous action against deeply rooted cultural adversity. Perhaps, Chelsea Manning, having been finally convicted in this highly divisive case, is not worthy of being identified by her preferred name and gender pronouns in the eyes of CNN, the Times, the Post, the Tribune, and countless other mainstream media sources. Invariably, the controlling issue of tenuous -- if not absent -- respect and understanding for gender identity is one that seems to be implicitly rationalized by the authors of these articles as acceptable because of the political implications of Manning's actions and public persona. The reports about Manning's coming out are simply emblematic of a widespread attitude that offending the "T" and "Q" of LGBTQ is not as egregious as offending or perpetuating negative cultural assumptions about the former three letters, and that those brave enough to present as their true gender identity should not be supported or affirmed by the public for doing so.